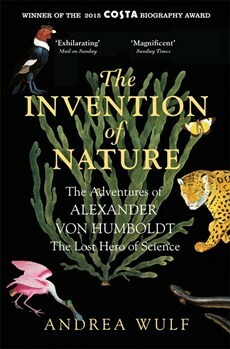 Produktinformationen "Andrea Wulf, The Invention of Nature"
Alexander von Humboldt (1769-1859) is the great lost scientist - more things are named after him than anyone else. There are towns, rivers, mountain ranges, the ocean current that runs along the South American coast, there's a penguin, a giant squid - even the Mare Humboldtianum on the moon. Taking us on a fantastic voyage in his footsteps - racing across anthrax-infected Russia or mapping tropical rivers alive with crocodiles - Andrea Wulf shows why his life and ideas remain so important today. Humboldt predicted human-induced climate change as early as 1800, and The Invention of Nature traces his ideas as they go on to revolutionize and shape science, conservation, nature writing, politics, art and the theory of evolution. He wanted to know and understand everything and his way of thinking was so far ahead of his time that it's only coming into its own now. Alexander von Humboldt really did invent the way we see nature.